Boating Accidents | The Law Offices of Daniel J. Harris, P.C. The weather is warm and the skies are clear. Nothing seems better in this world than heading out on the lake for some good old family fun. The cooler is packed and the boat is ready to go. Fishing, swimming, water skiing, jet skiing, packing a picnic, and getting a nice tan all sound like amazing ways to spend the summer! Unfortunately, just like cars, trucks, and every other motorized vehicle, boats are susceptible to accidents. From the Henry Roop in 1843 to the “fender bender” last Fourth of July; our nations Great Lakes have seen their fair share of boating accidents. Nothing can prepare a family for an accident that could leave them stranded in the water. Whether to blame faulty equipment or exterior negligence, a boating accident can cause severe consequences regardless of the precautions taken. At The Law Offices of Daniel J. Harris P.C., we have committed ourselves to fighting for any and all victims of personal injury related to boating accidents. The open water can be a scary place, but you don’t need to carry that fear with you. We are trained professionals, zealous about offering you the best possible legal service. We have spent nearly twenty years establishing our reputation as honest and competent and have successfully acquired millions in compensations for various clients. By placing your trust in our abilities to fight for you, we can guarantee that we will confront your injustice fiercely. At The Law Offices of Daniel J. Harris P.C., we understand how a fun summer afternoon on the open water can turn into a desperate struggle for survival. We opt to remove some of your stress by offering a No Win – No Fee Policy. If we are unable to acquire the compensation that is justly owed to you, you have no obligations to us. By implementing this arrangement you can rest knowing that we are motivated, professional, and on your side. 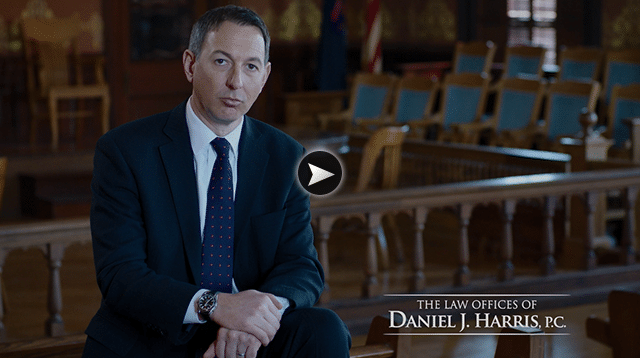 The The Law Offices of Daniel J. Harris P.C. have been guiding clients through tragedy for nearly twenty years. If you or anyone you know has suffered a personal injury relating to a boating accident, we have a friendly staff of qualified individuals ready to walk you through the process of what to do next. We urge you to call or visit one of our local offices and speak with someone about how we can help you. Let us prove to you that we have what it takes to make a difference in your life.